The Citroen SM: Citroen for the price of a Porsche 911. 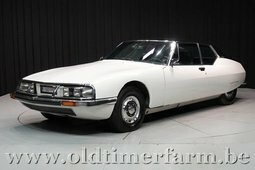 If you are familiar with the Citroen DS, a four-door SM relative, you are already wondering how much wine had to be consumed to halve the doors and double the price. Hydro-pneumatic suspension, progressive self-centering power steering, swiveling headlights, rain sensors – most of these and other innovations were already seen in the DS, which started its life fifteen years before the coupe version. But fifteen years is also the time needed for the DS to reach 62mph. 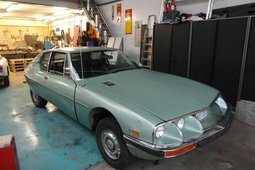 The problem was solved only when Citroen bought Maserati back in 1968. Yes, it all starts to seem a bit like the fifteenth-sixteenth century when the Italians taught the French how to cook and eating finally became a pleasant thing do in France. France had huge taxes for engines over 2.8 liters, therefore a 2.7 liter 168 horse power Italian orchestra was chosen which accelerated the SM from 0 to 62mph in a respectable 8.5 seconds and had a top speed 135mph. At the time it was the fastest front-wheel drive car. The fastest and economical don't often appear in the same sentence together, but the SM does 19.6 mpg (US) (12l/100km) - a competitive consumption for its time. Some credit for these achievements goes to the sleek bodywork of the car. SM is like a showcase of all the classic automotive aerodynamic principals: the front is profiled to decrease overall drag, rear wheel skirts are designed for wheel created turbulence reduction, a kammback was sculpted to solve pressure drag and an option to minimize ride height is an option to minimize disarray caused by the components underneath. Although the SM’s body has a lot of similarities with the DS these bodies were created by different designers. 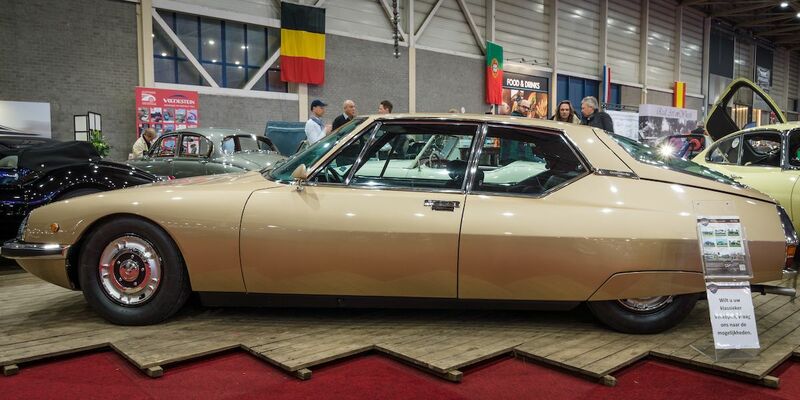 The four-door version was sketched by Flamino Bertoni together with aviation engineer André Lefebvre. And the two-door flagship car was done by Robert Opron with the help of a former Buick designer Henry Lauve. The 12920 lucky buyers that could afford the very hefty 9500$ price tag of an SM or anyone who had a chance to drive one, said that the car is very stable at illegal speeds and that it takes sometime getting used to the unique power steering. If you would like to verify that, better increase your velocity in doing so because the price of this Citroen is growing faster than mold on Holiday leftovers.